Asa is a passionate artist who has been in the photo industry for over thirty years. Looking to give back in the most meaningful way possible, he pours his heart into service. He created the ASA Foundation in order to do just that. His projects and nonprofits allow him to better the lives of others through his work. An accomplished non-profit and philanthropic executive, for 15+ years focusing on engaging communities, developing corporate philanthropy programs, managing non-profit organizations, and implementing individual and team engagement programs for maximum social impact. Extensive experience focused on community and organizational development, team-based management, organizational alignment and administration, community relations, communications management, and grantmaking. Successful leadership of programs, campaigns and organizations in both the non-profit and corporate sectors. Unique understanding of best-practice partnership approaches and the ability to effectively navigate both sectors for maximum social impact. A leading technology analyst for more than 25 years, Chris is passionate about entrepreneurship as the driver of innovation, economic growth, and restorative sustainability. She has built a career identifying innovative startups that create market and drive positive and disruptive change. As the executive producer of the DEMO conference from 1996 to 2009, Chris helped more than 1,500 companies make their market debut. If those companies were a portfolio, they would have a combined market value of more than $60 Billion. Chris began her career at Ziff-Davis, where she worked as a writer and editor for 12 years before joining International Data Group (IDG) to lead DEMO. Chris co-founded two companies, including the startup media and consulting firm Guidewire Group. She is currently a Fellow at the Donald W. Reynolds Journalism Institute at the University of Missouri where she is considering the impact of social media on the practice of journalism. 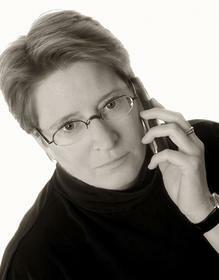 Her work has won numerous citations, including the prestigious SVForum Visionary Award in 2010. She sits on the board of Versaic, Inc. and is an advisor to a number of high-impact early stage companies. Chris holds BA degrees in Literature and Communication Arts from Allegheny College in Meadville, Pennsylvania. Lisa Greenwald-Swire / Legal / Trademark/Copyright / Principal at Fish & Richardson P.C.